How To: Dicing and Mincing Precision leads to perfection. Great for sautéing flavor bases. 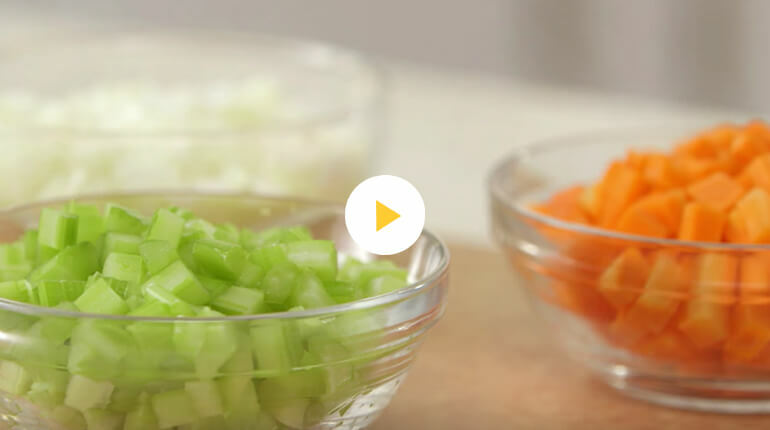 Helps ingredients spread throughout a salad or a sauce. Approximately ¼ to ½-inch on all sides. Tiny cut used most often for herbs and savories like garlic and onion. Ensures flavor spreads evenly thoughout a dish.